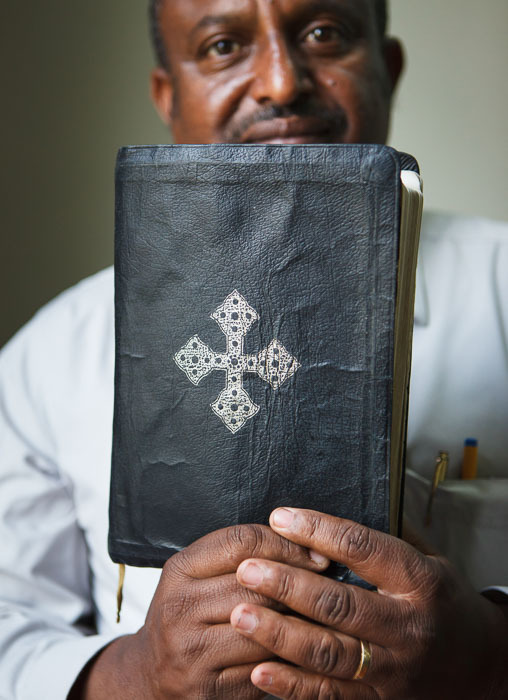 “The Bible is my life,” says Dereje Tilahun of Wycliffe Africa as he lifts his Bible in his language, Amharic, and presses it against his chest. “I cannot live without it.” Dereje feels strongly about bringing the Bible to all 80 plus languages of his home country of Ethiopia. And he is committed to helping people enjoy Scripture on a regular basis. Dereje manages a group that prepares and distributes printed materials, recordings, and videos that assist believers in understanding and applying the Bible to their everyday lives. He believes that his own life was “built by the word of God,” and now he wants the same for others. Read more about Dereje.